1. Air Fresheners interfere with your ability to smell by releasing a nerve-deadening agent. Known toxic chemicals found in an air freshener: Formaldehyde (highly toxic, known carcinogen) and phenol. When phenol touches your skin it can cause it to swell, burn, peel, and break out in hives. Even a small amount of this commonly-known cleaning agent can cause cold sweats, convulsions, circulatory collapse, coma and even death! 2. Ammonia is a very volatile chemical. It is very damaging to your eyes, respiratory tract and skin. 3. Bleach is a strong corrosive. It irritates the skin, eyes and respiratory tract. Vapors can cause fluid in the lungs which can cause coma or death. WARNING: Never mix bleach with ammonia or other acids, even vinegar. The mixture causes DEADLY fumes! 4. Carpet & Upholstery Shampoo. Designed to overpower the stain, they accomplish the task using highly-toxic substances. Some include: Perchloroethylene (a known carcinogen, damages liver, kidney and nervous system) and Ammonium Hydroxide (corrosive, extremely irritable to eyes, skin and respiratory passages). 5. Most Drain Cleaners contain lye, hydrochloric acid or trichlorethane. Lye is caustic . . . it burns skin and eyes. If ingested it will damage esophagus and stomach. Hydrochloric acid is corrosive, an eye and skin irritant, damages kidneys, liver and digestive tract. Trichlorethane is an eye and skin irritant, nervous system depressant, damages liver and kidneys. 6. Furniture Polish. Petroleum Distillates are highly flammable and can cause skin and lung cancer. Phenol – see Air fresheners, Phenol. Nitrobenzene: This chemical is easily absorbed through skin, and is extremely toxic. Known reaction to skin contact can cause skin discoloration, shallow breathing, vomiting and death. Repeated exposure can cause genetic changes, birth defects, cancer, liver, kidney, heart and central nervous system damage. Remember, once this stuff is on your furniture, it will continue to give off residual fumes. Sodium hypo chlorite: Corrosive, irritates or burns skin and eyes, causes fluid in the lungs which can lead to coma or death. Formaldehyde is a highly-toxic, known carcinogen. It irritates eyes, nose, throat and skin. May cause nausea, headaches, nosebleeds, dizziness, memory loss and shortness of breath. 8. Oven cleaners. Next to drain cleaner, oven cleaners are some of the most toxic chemicals in your kitchen. If you read the label carefully you would probably be afraid to even pick up a can, let alone use it. Its lingering affects can sometimes be smelled days or even weeks after use. Not to mention that fine aromatic taste it leaves on your food after it comes out of your newly-cleaned oven! Sodium or Potassium Hydroxide (Lye): Caustic, strong irritant . . . burns both skin and eyes. It inhibits reflexes, will cause severe tissue damage if swallowed. These products come in aerosol spray containers. These sprays send thousands of tiny droplets of ammonia or lye, into the air that land on your skin or in your eyes, and of course they are easily inhaled. Oh, and another thing, unless you have six-foot arms, I'm not sure how you can clean your oven with these toxic substances without putting your head in the oven, so you might as well get a gas mask, too! 9. 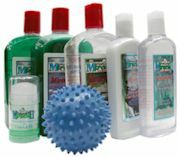 Dishwashing Liquid and Antibacterial Cleaners. Triclosan: absorption through the skin can be tied to liver damage. Some artificial dyes (including in some dishwashing liquids) used in food products are allowed, even though they are a known cancer-causing agent. Not to mention the hazard of soaking your hands in these products many times over your lifetime. 10. Laundry Room Products. Numerous products are used in our laundry rooms to clean our clothes, but what types of toxins are we using at the same time? Sodium or Calcium hypocrite: Highly corrosive, it irritates or burns skin, eyes and respiratory tract. May cause pulmonary edema, vomiting or coma if ingested. Contact with other chemicals may cause chlorine fumes which may be fatal. Linear alkylate sulfonate: Absorbed through the skin. It has been known to cause liver ailments in test animals at comparatively low dosages. Sodium Tripoluphosphate: Irritates skin and mucous membranes. Causes vomiting. One of the problems with most of these chemicals is that they are absorbed through the skin. As we continue to wash our clothes with these products, residue builds up in the fibers. As we wear our clothing, these rub against our skin and these noxious chemicals are absorbed through the skin. **Chemical Information provided by the United States Government Environmental Protection Agency. GET RID OF THOSE KILLER CHEMICALS AND START USING MIRACLE II TODAY! The term pH stands for “potential” of “Hydrogen”. It is the amount of hydrogen ions in a particular solution. The more ions, the more acidic the solution. The fewer ions, the more alkaline (base) the solution. pH is measured on a scale of 0 to 14 with seven being neutral. The lower the pH number the more acidic it is and the higher the number the more alkaline. For example, a pH of 3 is more acidic than a pH of 5 and a pH of 9 is more alkaline than a pH of 6. As humans, a normal pH of all tissues and fluids of the body (except the stomach) is slightly alkaline. The most critical pH is in the blood. All other organs and fluids will fluctuate in their range in order to keep the blood at a strict pH between 7.35 and 7.45 (slightly alkaline). This process is called homeostasis. The body makes constant adjustments in tissue and fluid pH to maintain this very narrow pH range in the blood. Testing saliva is the most effective way to gauge the body’s ph. To test saliva: Wait 2 hours after eating. Spit into a spoon. Dip the strip. Read immediately. Use the color chart from the correct indication. An optimal reading is 7.5. This indicates a slightly alkaline body. Phion pH Stix™ are unlike most pH test strips on the market. Due to the narrow range in pH of these bodily fluids (generally 5.8 to 7.6) it is imperative that a pH test strip give a clear indication in small pH unit increments. Alkalive test strips give an indication in .25 pH unit increments, and test a range of 4.5 to 9.0. Plus, pH Stix use the double color indicator method, allowing for a more accurate determination of the pH value of what you are testing. Tests the pH of saliva, urine, water, beverages, cosmetics, soaps, ANY solution! Throw away the pH paper, and pick up the pH Stix. Alkalive PH Stix come complete with directions, indicator color chart, and a guide to how to interpret results. We all do it. We walk into a room and throw our purse on the floor or worse yet, in the seat of the grocery cart. What you're carrying around on your purse could gross you out! How do you ensure your purse is clean and pathogen-free? Regularly wipe the inside and outside of your purse with soap. Keep your bag off the floor. Use hooks in bathrooms and restaurants. Put your purse on the back of a chair or in your lap. Never sit your purse on the kitchen counter or near where food is served. So carry with caution and think before you put that purse down just any old place. Until next time – don't get caught up in the stresses of the "holiday season" – take some time out for a nice warm cup of your favorite tea. Rubbing your hands together under running water is the most important part of washing away infectious germs. Here are some basic steps to help ensure a thorough and effective hand washing. Always use warm, running water and a mild liquid (non-antibacterial) soap is preferred. Get a paper towel and keep it on the sink to use to turn off the water faucet off when you have finished washing your hands. Wet your hands and apply a small amount of soap. Rub hands together vigorously until a soapy lather appears and continue for 10 to 15 seconds. Be sure to scrub between fingers, the palms, and the tops of your hands and your fingernails. Rinse hands under warm, running water. Use the towel to turn the water faucet off and discard. (Why? Because you and everyone else who's been through there has used their grimy little hands to turn the water on – wow, what a collection of germs right there on the faucet handles.) I really like the restrooms that have a sensor so you don't have to touch a handle! Dry hands with a clean, disposable, single-use towel. Turn the faucet off using the towel as a barrier between your fresh, clean hands and the faucet handle. You may also use your elbows to turn off the water in properly equipped restrooms. Discard towel; you may also use your towel to open the door to exit the restroom and discard the towel down the hall. If this dries your skin, use lotion – don't whine and don't shirk your duty. Practice the essentials of good hand washing and teach them to your kids. It just might save you a trip to the doctor! Please share this information with your families and groups of friends, particularly those that include young children and pregnant women. If you are still using antibacterial soap that contains a compound called triclosan, I hope that a brilliant study published in the journal, Aquatic Toxicology will persuade you to consider switching to the plainest bar of soap that you can find. Researchers have discovered that exposure to triclosan can cause significant disruption to the endocrine system, a finding that has countless and serious health implications. What's especially disturbing about this discovery is that the hormone signaling mechanisms that triclosan disrupts is virtually identical in frogs and humans. Could this be another reason why we have an ever increasing number of children who experience puberty far earlier than can be considered healthy? The bottom line: antimicrobial household products that contain triclosan should be avoided by everyone, but particularly by pregnant women and growing children. Not only do we need to ensure that these products don't have a place in our homes, we need to be proactive in having them removed from our schools, community centers, and other public facilities. One of the most common requests we get here at Rebuild Your Vision is for information about PC use and vision. And it's no wonder-almost all of us use a computer at least once in a while, and many of us sit in front of the magic box all day! 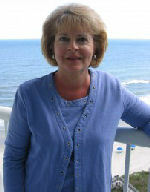 In fact, the University of Iowa's Christine Sindt, O.D., estimates that Computer Vision Syndrome- or the "complex of eye and vision problems related to near work that are experienced during or related to computer use" as the American Optometric Association defines CVS – affects 75% of the people who work on computers, most markedly those over the age of 40. If you've experienced any of the 14 symptoms listed below, you'll want to read on for information on how to combat CVS. Obviously, the easiest way to prevent CVS is to stop using the computer! But, as that is simply not an option for the millions of us (including this writer) who make a living performing computer-related tasks, here are 5 tips to help you monitor your natural monitors: your eyes. "Ergonomics" is just a fancy way of saying "Being kind to your body." But as we know, being good to your body every day will benefit you in the long run. Repositioning your monitor is an easy and effective way to avoid awkward head or eye movements. As Dr. Ergo (aka Dr. James Sheedy) notes on his Web site, "Because the eyes lead the body, your body will assume whatever position is required to enable your eyes to see comfortably. A poorly located computer screen causes awkward body positions." He notes that a viewing distance of 20-28 inches is most common. 9 inches below your eyes, because your eyes work best with a slight downward gaze. Your computer screen and other work (and your phone, if that's part of your office) should be located straight in front of you so that you don't have to look sideways or twist your body or neck to see them. Glare is an all-too-common cause of eyestrain and eye fatigue. Modifying your office lighting will eliminate glare and harsh reflections. First, find the source of the glare: Is it coming from a window, task light, or the screen itself (see #3 below)? If possible, remove the offending source of light. Adjust blinds or curtains to minimize sunlight. Turn down overhead lights so that the brightness of the screen and the surrounding room are balanced. Do not, however, work in the dark: the contrast between computer-generated light and lack of background light strains the eyes. Task lights should be positioned to provide direct light for reading and other office work, but should not shine directly on the computer or in your eyes. You may need to use a low-wattage bulb. You may also need to move your desk so that bright overhead lights or windows are not in your field of view. The best position for your desk is directly to the side of a window/overhead light. That way you can still enjoy some natural light without glare (caused by brightness in front of your field of vision) or reflections (caused by brightness behind you). Another option is to use a monitor glare hood, or better yet, a screen. Look for anti-reflection screens that have been approved by the American Optometric Association. Dr. Ergo notes, "Optimal contrast and visibility are attained with black characters on a white background. However, other combinations can be comfortable so long as the brightness contrast between the characters and the background is high. It is best to avoid dark backgrounds." An article on "Flat-Panel Monitors Versus CRTs" in the magazine PC World says that "flat panel (LCD) displays have visual advantages compared to cathode ray tube (CRT) displays. They do not flicker and the contrast is typically higher." And because CRTs deteriorate gradually over time, you may not even realize that the picture you are looking at today is not the same one you were looking at five years ago when you bought the monitor-although this deterioration may be causing your CVS symptoms. Consider an upgrade. It's easy to lose track of time at the computer. Always remember the 10-10-10 rule and at the very minimum take a break at least once an hour for about 10 minutes and blink frequently — video display use is associated with a decreased frequency of blinking. (And a computer break is a perfect excuse to perform your Vision for Life eye exercises.) Computer use can also cause an increased rate of tear evaporation. Although you can relieve dry, itchy eyes with artificial tears from the drugstore or supermarket, it's best not to rely on them. A better way to prevent dryness is to stay hydrated with good old-fashioned H2O. Of course, eating your beta-carotine-rich foods is always good for maintaining eye health, and a Japanese study suggests that supplementation with the amino acid taurine appears to alleviate vision fatigue. Contact lens wearers may want to switch to glasses during PC work, as contact lenses themselves can cause dry eyes. Many people go to the doctor after their viral infection, ( 90% of colds and flu are viruses first) is out of control with other side effects of a more serious nature. The suggestions below are for you to employ at the first sign of illness. These are simple, but effective if used within the first 24 hours of illness. My research shows that medicine has little to offer to benefit viral infections, but there are some "natural" things you can try. You might have some in your kitchen right now! 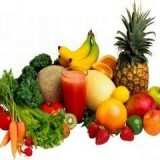 Did you know that all citrus fruits; lemons, oranges, grapefruits, tangerines etc. have strong anti-viral qualities? At the first sign of a cold or flu start taking 1,000 mgs. of vitamin C many times a day and drink lots of hot lemon water. Avoid all dairy during a cold as these foods create more mucus. Emer Gen C packets, which can be found at Walmart, Whole Foods Market or any health food store, offer a simple way to carry that 1,000 mgs. of C in your purse or pocket. Whenever I feel like I might be getting sick I immediately start on the Emer gen C and the next day I usually wake up feeling just fine! I always keep some in the cupboard and in my purse especially during the winter months. There are different flavors – they all taste great – even kids like the taste! I also read somewhere this week that you can make your own Vitamin C powder. All you need to do is cut in thin strips some citrus fruit of your choice, then dry it (a Dehydrator helps to speed up the process) Putting the dried peels in a Vita Mix or blender will make a powder that can easily be added to drinks or food. Be sure to store in an airtight container. Taking one teaspoon of this powder will supply you with more Vitamin C than your body needs for the day. Organic grapefruit, tangerines, oranges, lemons and limes can all be used. Wash your hands frequently and those of your children. Several drops of lemon essential oil can be effective in a gentle hand soap for more anti-bacterial, anti-viral action. Did you know that many therapeutic grade A essential oils have powerful anti-viral and anti-bacterial qualities? Cinnamon, Clove, Eucalyptus Radiata, Lavender, Melaleuca Alternafolia, Thyme, Oregano, and Lemon are antibiotic in nature, antiseptic, antiviral and antifungal. So before you reach for some over the counter "medicine" why not give the natural way a try first! With obesity on the rise (especially in children) now might be the time to rethink what “fast food” really is! Let’s face it – we live in a fast paced society. We want everything in an instant. In talking with some young mothers they admit it “seems” easier for them to grab some chips or cookies for their kids after school snack instead of reaching for the healthier things. Of course we can’t expect the children to pick these things on their own so it is important that healthy things be prepared and ready when they come through the door or at least have them available in the refrigerator. You might say “Well, my kids won’t eat that stuff!” I say, “How come?” Please don’t give up if the kids have turned their nose up to healthier options. Try introducing the healthier snacks little by little – you might try by having them eat some fruit first before having a cookie or a few chips – eventually you will be serving healthier options more frequently and believe it or not the children will actually begin to like it. The truth is, you CAN control what your kids eat at home, but once they leave the house they are on their own. I know from my own experience that I always chose the “goodies”, instead of the “good things for me”! Some ideas for fast food for YOU AND your KIDS!! See how fast FRUIT AND VEGGIES can be! They are all natural and some are even prepackaged!! enjoy juicy red or green grapes or any fruit in season (try freezing them for an extra good treat on a hot summer day).